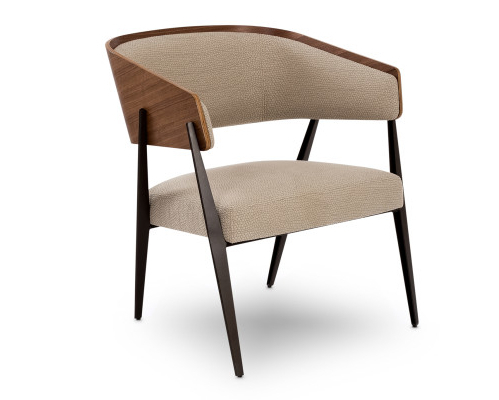 Not just a commanding and comfortable accent chair, Aria is a study in contrasts— gracefully splayed steel legs support an oversized wraparound back. 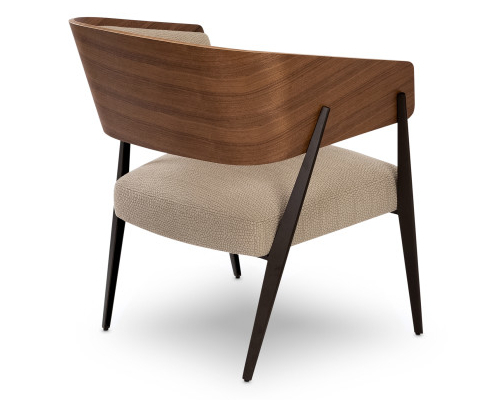 The plush upholstery of the back plays against the rich walnut veneer of the surrounding shell. The Aria accent chair provides long term comfort, while offering striking good looks with a touch of mid-century modern design. Companion settee, dining chair, barstool, and counter stools also available. Available in an assortment of metal finishes, fabrics, and wood finishes.